Elegant 11" x 16" trencher board is made in Oregon from solid red alder, a sustainable American hardwood. Then we custom engrave it just for you! Slice and chop on both sides if you like, or simply display it with pride. A thoughtful gift for an anniversary or a wedding! 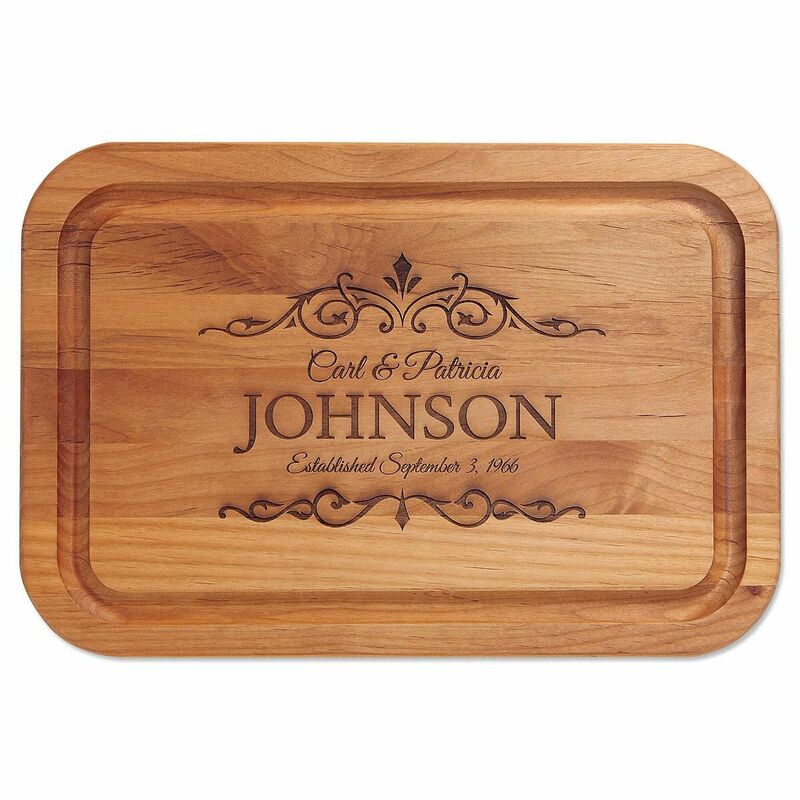 *Because wood is a natural product, color and grain will vary on each cutting board. Personalization may be lighter or darker depending on the nature of the wood. For line 1, specify up to 24 characters, upper and lower case; line 2 up to 12 characters, all upper case; and line 3 up to 24 characters, upper and lower case (“Established” is preprinted).